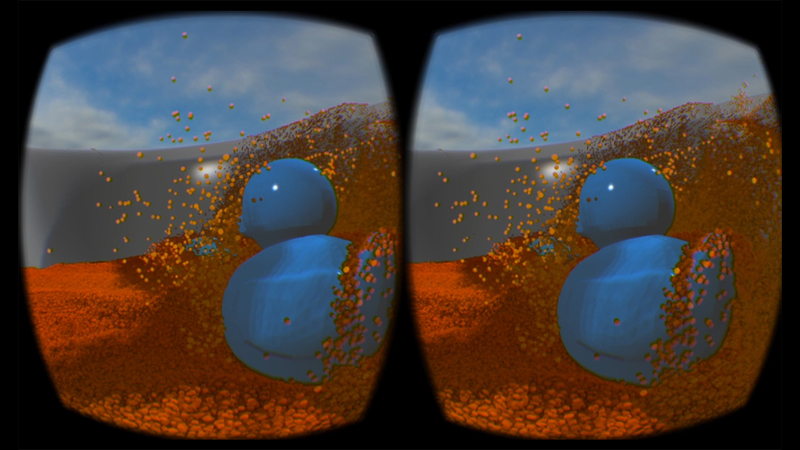 Implemented using Oculus SDK and CUDA, rendered by OpenGL shader. Real-time simulation with above 2M particles in 60~90 fps. Obstacles, swirls and tornado effects are controlled by the Oculus touch controllers.